One day, Pettson brings home a rooster. 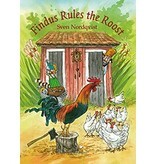 The rooster is loud, and does not want Findus to play with the hens. In fact the rooster chases him away! 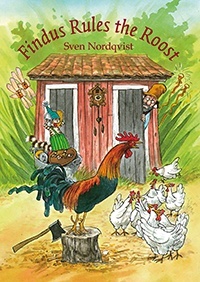 Findus is unhappy and his ears are aching, but what can he do?